Once you have time and are in the mood: there is a NIGHTBUS (believe it or not) from Syntagma to Kifissias Square and vice versa. The line is X14, which during the day is a connection Olympic Stadium <-> Syntagma and turns into vampire's transportation on Friday and Saturday nights. Also VERY USEFUL I find the telephone number 185 with a 24 hours service on timetable inquires. EXCELLENT staff, very friendly, very helpful, though they are Greeks <laugh>. I did not challenge their English but still the service is worth to be mentioned. Extraordinary, exceptionally GOOD service! Also, some might not have understood until now: there is a new ticket for public transport: for 1 Euro you get around in all busses, trollies, metro, electrico or tram within 1,5 hours. You do not need to have single tickets anymore when you change line! I did not see these tickets being available from the machines but you have to ask at the counter. Every 3rd or 4th train travelling north on the M3 metro line continues out to the airport - the train can be identified by the aeroplane stickers on the windows and the large luggage racks inside the train. 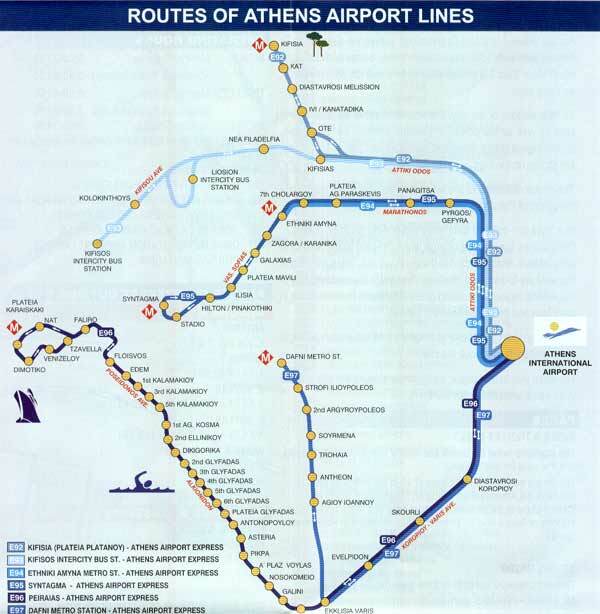 Otherwise take the metro train to Douk(issis) Plakentias station and connect with the suburban railway going to the airport. 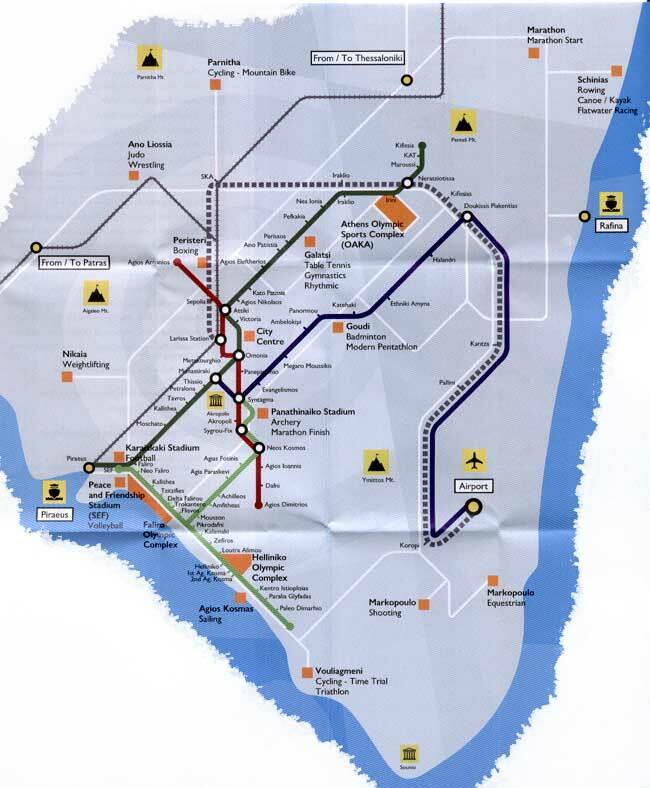 Both suburban railway and airport metro terminate conveniently right inside the airport. (for trains to the Peloponnese, etc.) & back. 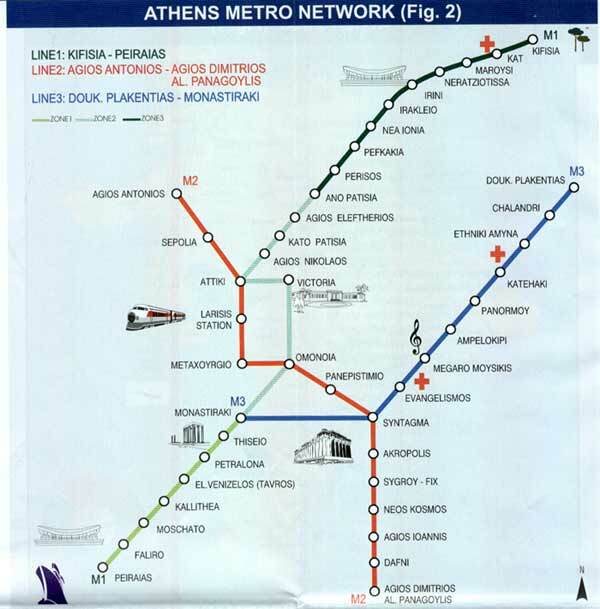 It also makes very useful stops at Douk(issis) Plakentias Metro on the M3 line and the Neratziotissa metro (ISAP) station on the MI Kifissia-Piraeus line.